As well as offering day trips to and around Manchester, we here at ST Minibus Manchester offer minibuses to and from a variety of different airports in the UK. One of the airports that we cover is the Manchester itself. 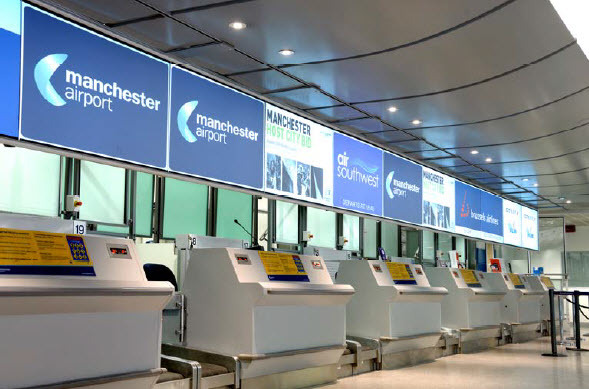 Formally known as the Ringway Airport, Manchester Airport was opened in 1938 and has gone on to be among the busiest airports in terms of passengers served. It’s an airport that is still expanding too and serves as a major travel hub to people leaving and entering the UK. We understand how stressful it can be to book a taxi for a trip abroad or try and take a car yourself to the airport. Taking your own car can be a bit more convenient at first but in the long term becomes problematic. You’ll most likely have to leave your car at the airport and that can build up a pretty big parking fee. It’s also not the safest of options for your car as it remains out in the open for long periods of time. It’s much better, and easier, to leave the car at home and let a hire company like ST Minibus Manchester take care of all your travel arrangements for you. You can trust our friendly and professional drivers to get you to the airport with time to spare for all the other necessities such as checking in. If you book a return trip you can even count on us to be there waiting for you when you get home to take you home. We’ll keep an eye on when your flight is due back and make sure someone is waiting for you. You can trust us to deliver a professional and quality service, and do so at a very reasonable cost. All in all it’s a lot easier and more convenient to just book your travel through us and get rid of a lot of stress right away. If you’re travelling with your family and you know the phrase “travel light” isn’t part of their vocabulary then we have you covered there too. Our cars are large enough as they are but in case you have a lot of luggage or want to make some stops on the way we have luggage trailers available. They’ll hold all that extra luggage you have and ensure that you won’t have to leave anything behind. Peace of mind is one of the main things we offer when you book with us; everything will be taken care of.